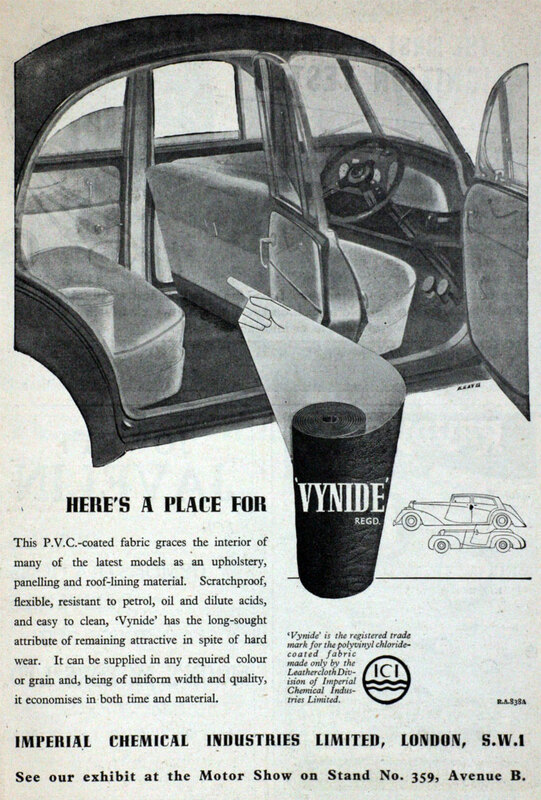 1955. ICI Anhydrite mine at Billingham-On-Tees. 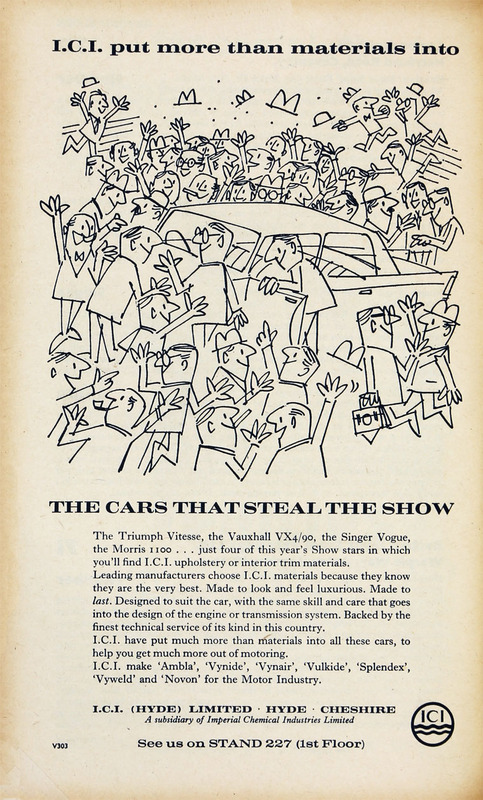 February 1959. Liquid Carbon Dioxide. 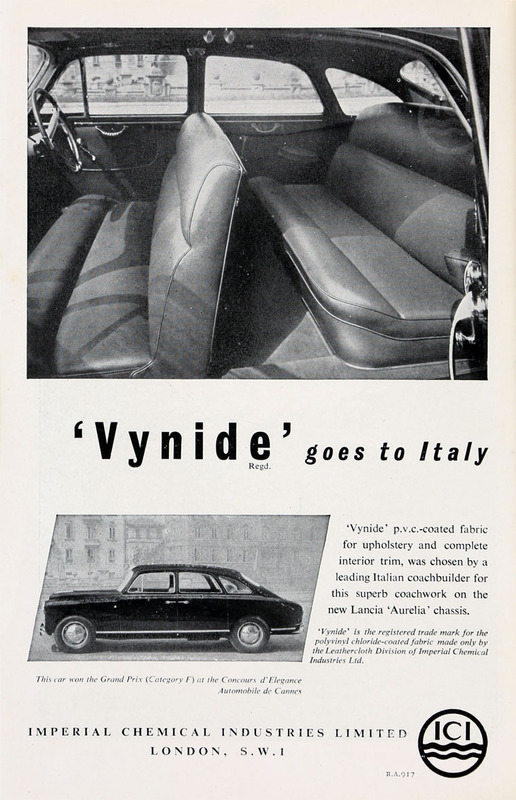 1964. New offices at Runcorn Heath, Cheshire. November 1990. ICI Homecare. Soda Crystals. 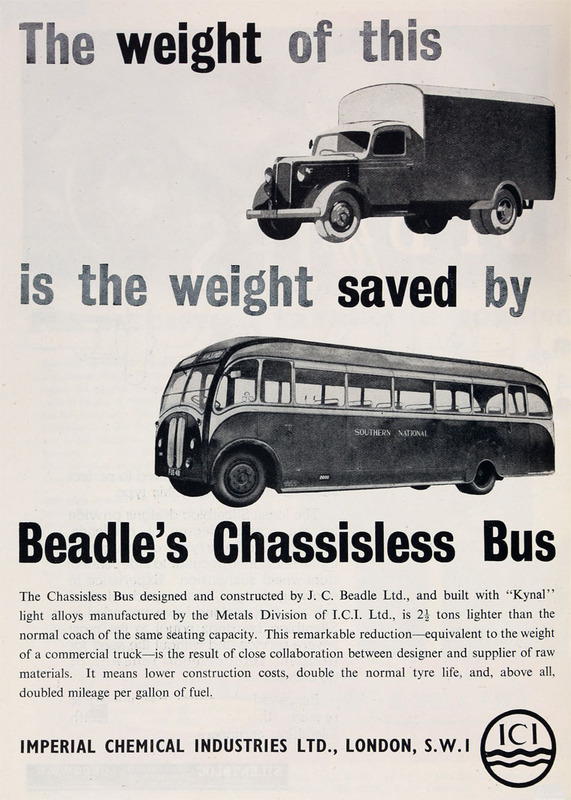 1926 Public company. 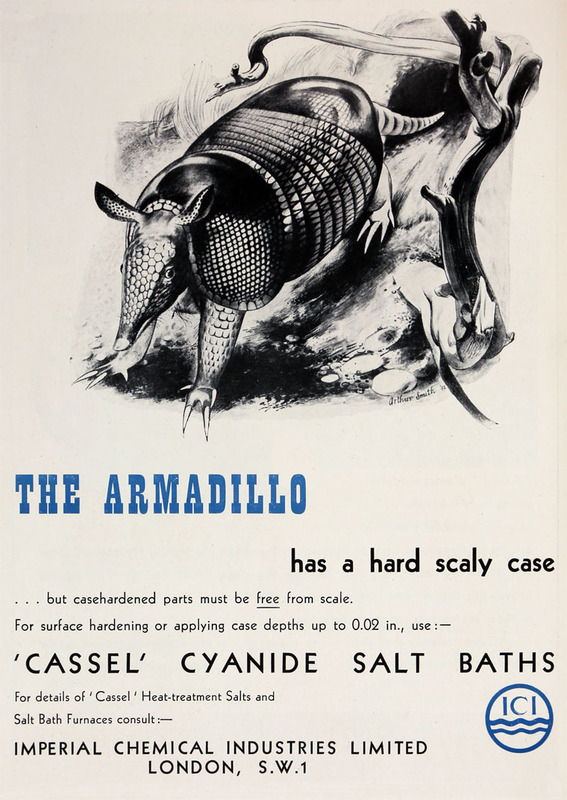 The company was founded in December from the merger of four companies — Brunner, Mond and Co, Nobel Industries, the United Alkali Co, and British Dyestuffs Corporation. 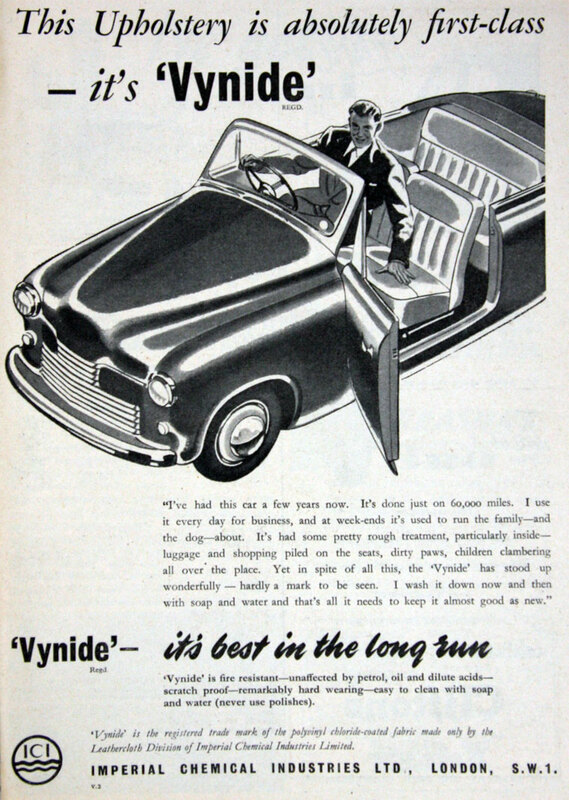 The merger was engineered by Harry McGowan, who had earlier managed the agglomeration of the British explosives companies into Nobel Industries and subequently had been involved in a similar concentration of dye companies into the British Dyestuffs Corporation. 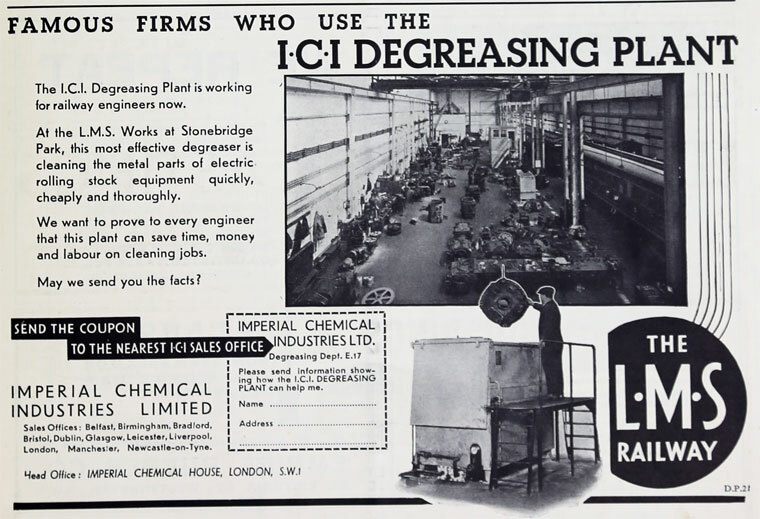 The formation in Germany, in the autumn of 1925, of IG Farbenindustrie had threatened to overwhelm the British chemical industry; McGowan, prodded by Reginald McKenna, proposed a defensive merger between the four largest British chemical businesses. 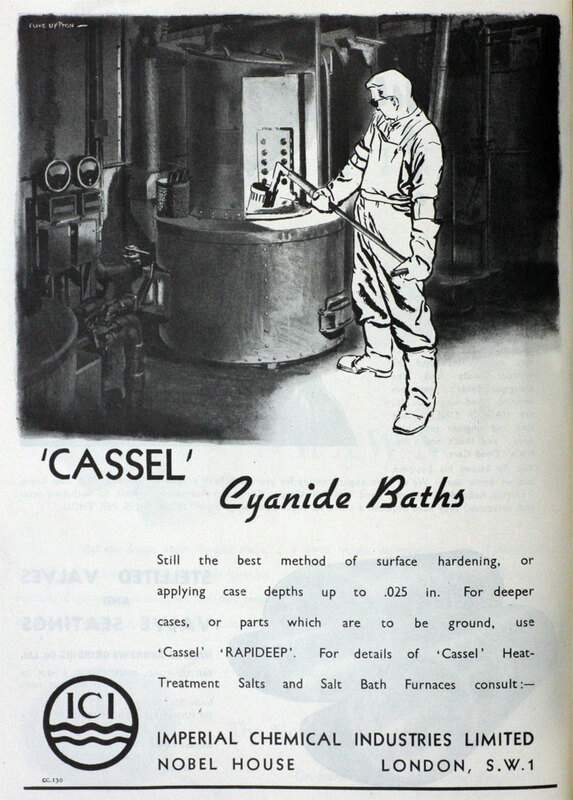 The new company was divided into main product areas for alkalis, dyestuffs, explosives, general chemicals (including chlorine, acids, and synthetic ammonia), and metals. It also concentrated on producing cellulose products, fertilizers, lime, and a rubberized fabric known as "leathercloth". In its first year turnover was £27m. 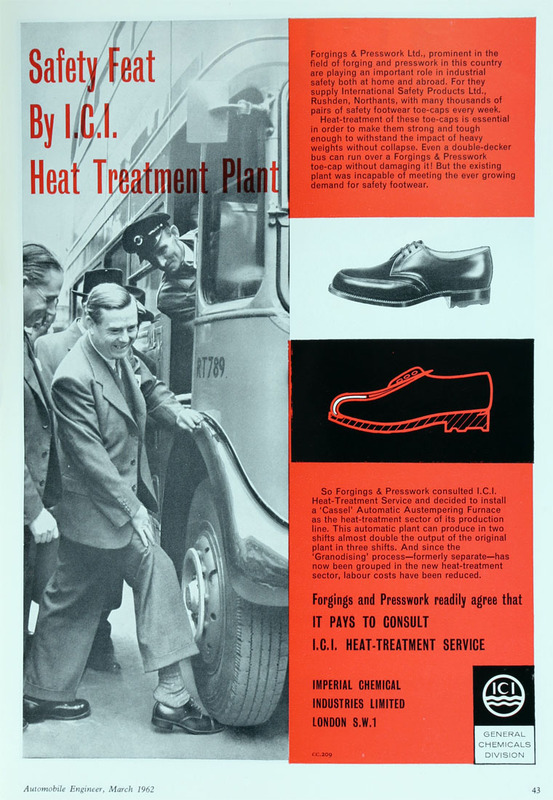 ICI began business on January 1, 1927, with 33,000 employees. The newly formed company. 1927 The ICI combine took over Cassel Cyanide Co by exchange of shares. Also acquired Union Acid Co Ltd, Oliver Wilkins and Co Ltd, Casebourne and Co (1926) Ltd for which purchases extra shares were issued. By 1928, staff had occupied the newly built, monumental headquarters on Millbank in London. Cellulose products, such as leather cloth, varnishes, etc. 1930 McGowan became chairman and sole managing director. 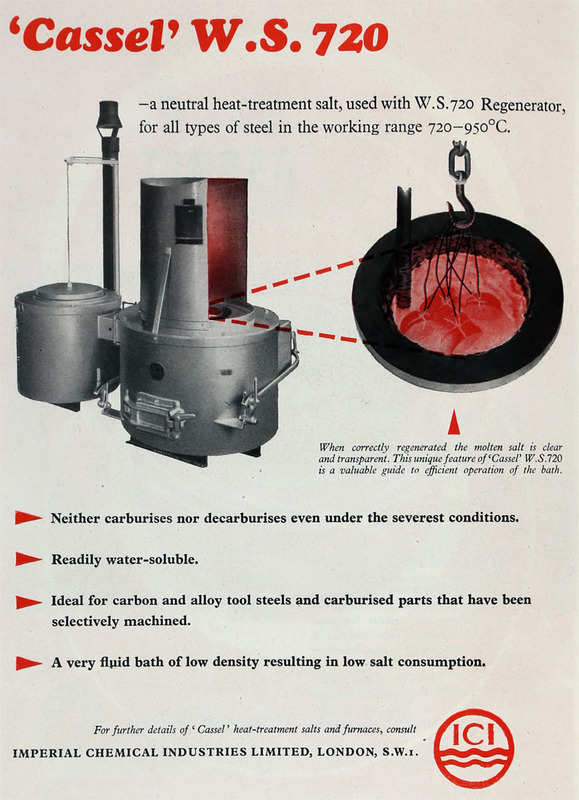 1930 Work on developing an oil-from-coal process was announced. 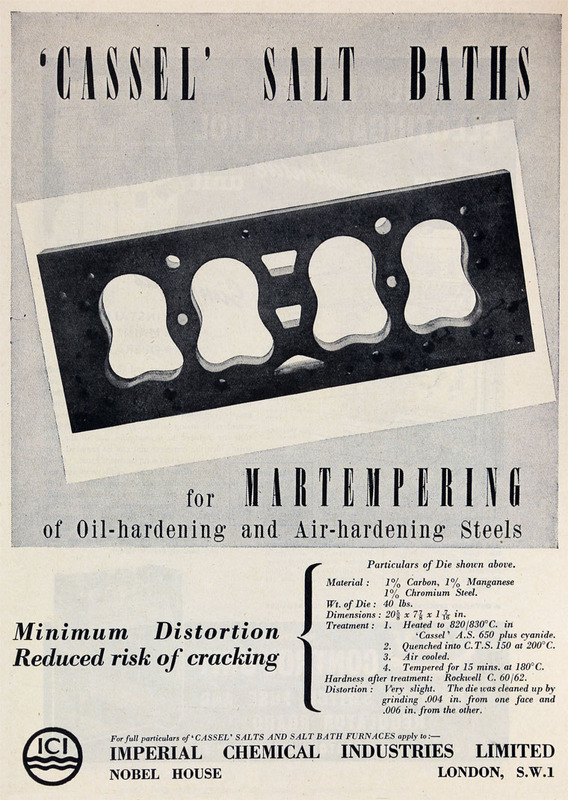 1931 Progress in reducing costs of the oil-from-coal process. 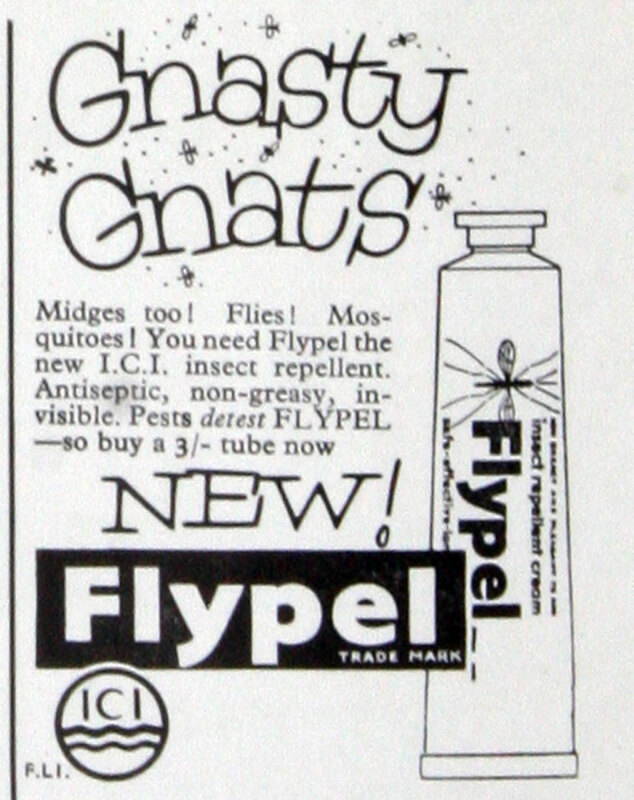 1932 Introduced the acrylic plastic Perspex. 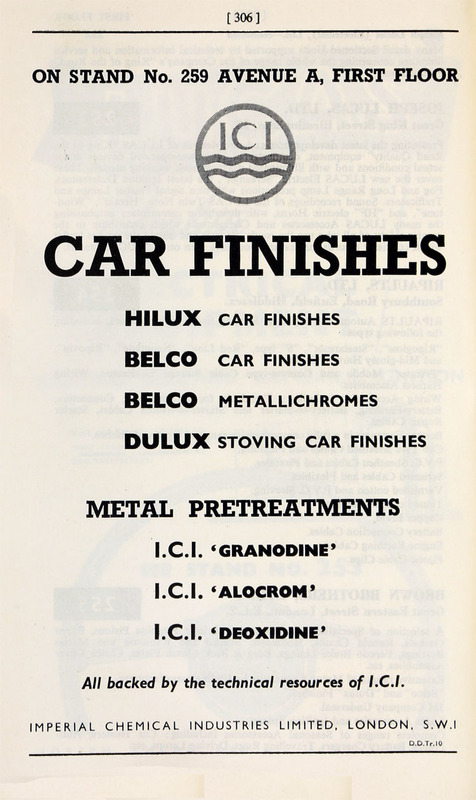 1932 Formation of ICI (Explosives) which would include 11 companies controlled by ICI. 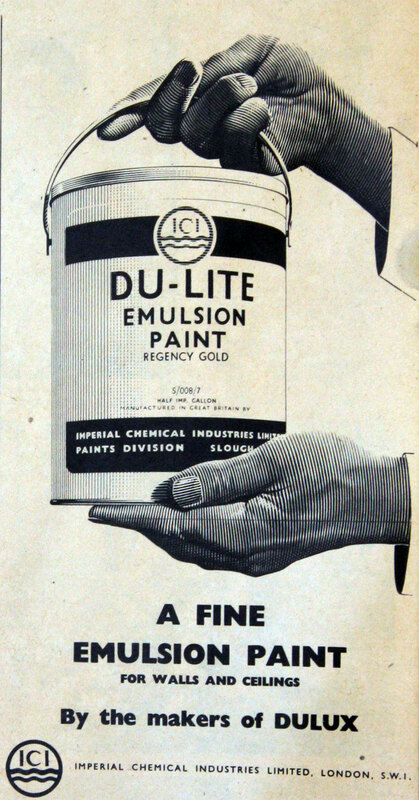 1932 Introduced Dulux paints (co-developed with Du Pont). 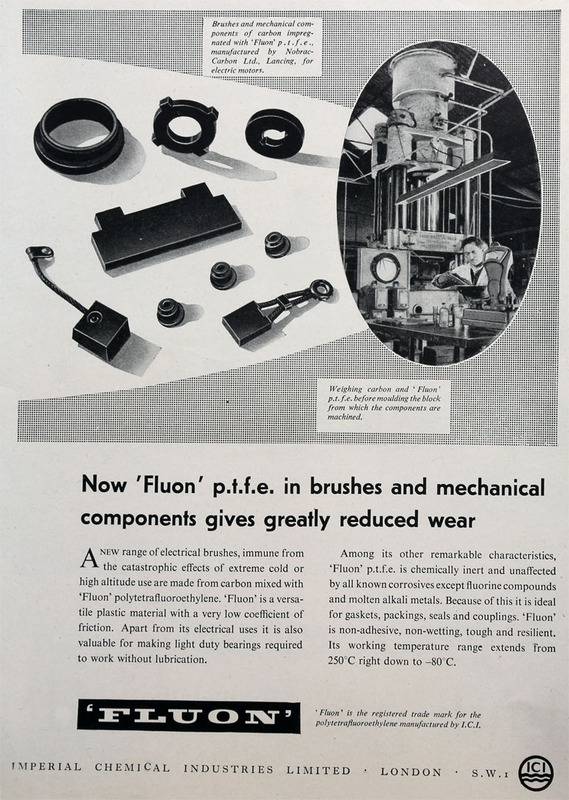 1933 British Titan Products company formed to make titanium dioxide pigments. Jointly owned by ICI, Imperial Smelting Corporation, Goodlass, Wall and Lead Industries and National Lead Co of America. Acquired land from ICI at Billingham to erect a plant. 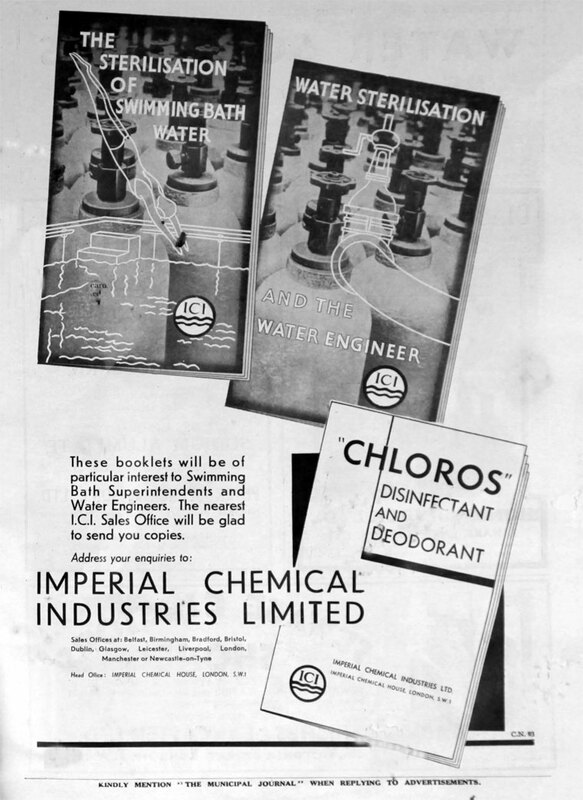 1933 Chloros - Disinfectant and Deodrant. Water Sterilisation. 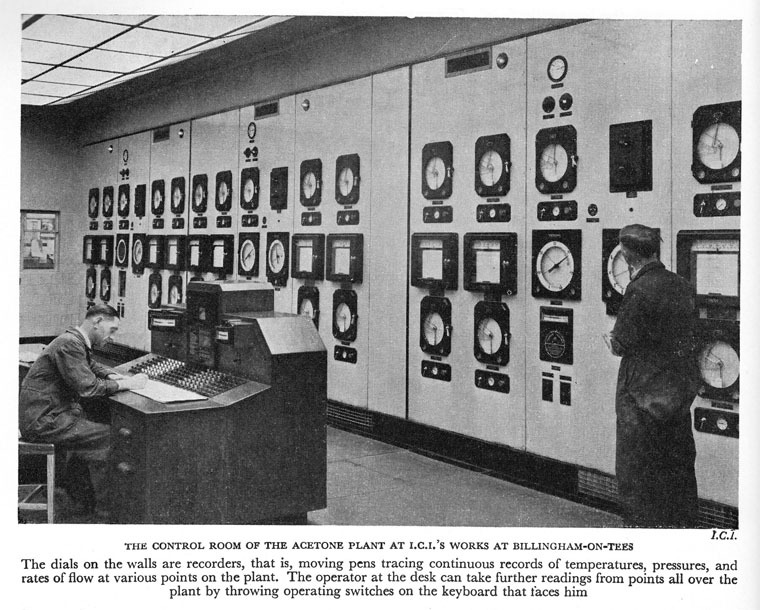 1935 The coal hydrogenation plant was completed at Billingham; petrol production began mid-year. 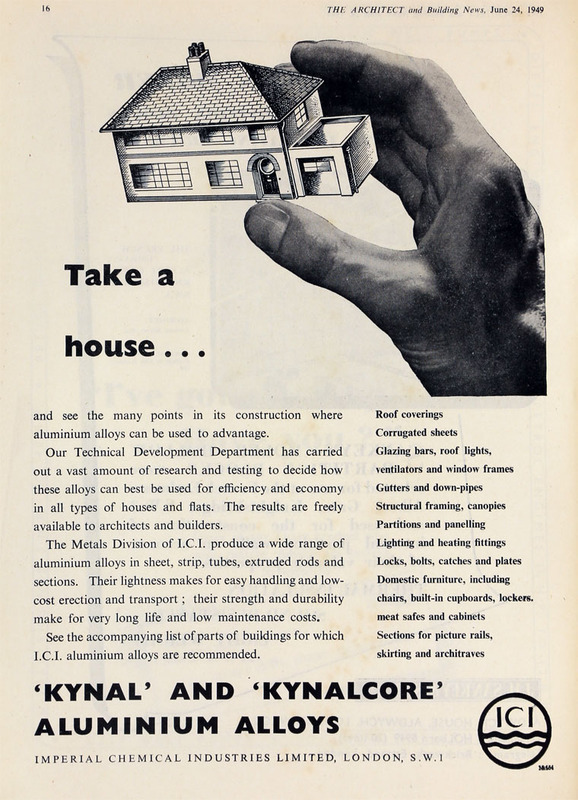 1937 the newly formed Plastics Division took over polyethylene as a moulding compound; Dyestuffs Division would lead on textile uses; Alkali Division, which been responsible for its discovery, would lead on electrical and other uses. Disposed of the Sunbeam motorcycle business which had come to ICI with Nobel Industries. as ICI of Nobel House. 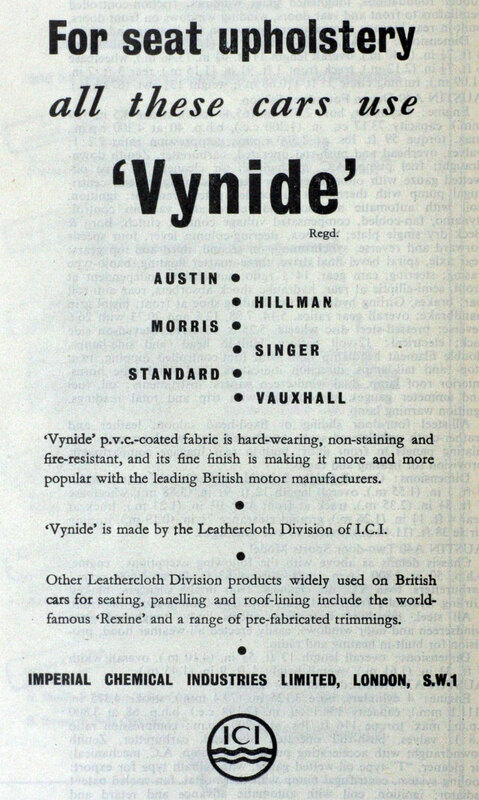 as ICI Industries Ltd, Leathercloth Division of Newton Works, Hyde, Cheshire. 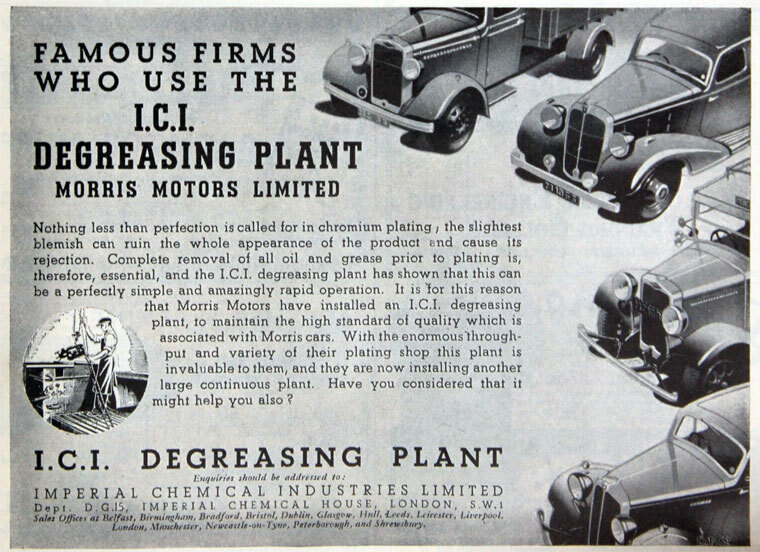 as ICI Industries Limited, Plastics Division of Black Fan Road, Welwyn Garden City, Herts. 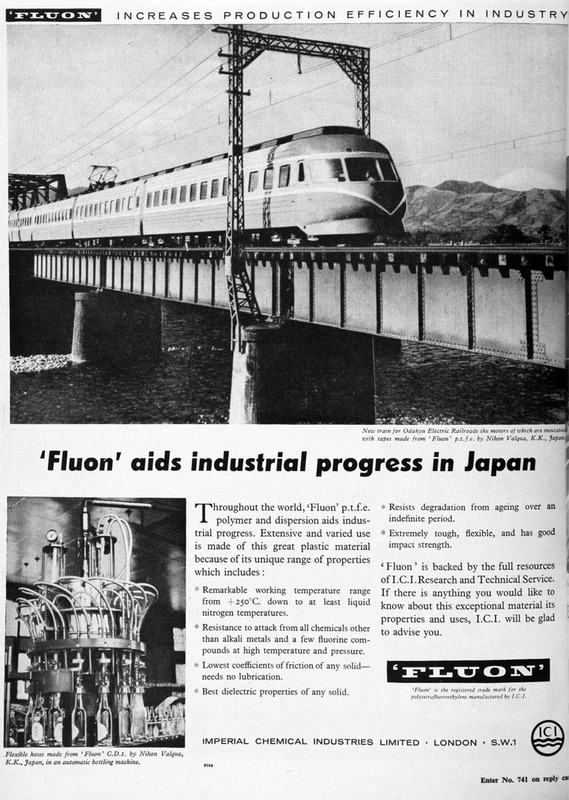 1952 Opening of the huge chemical complex at Wilton, which included a 4,000-ton nylon polymer unit, as well as ammonia and hydrogen plants, and production facilities for phenol and organic chemicals. 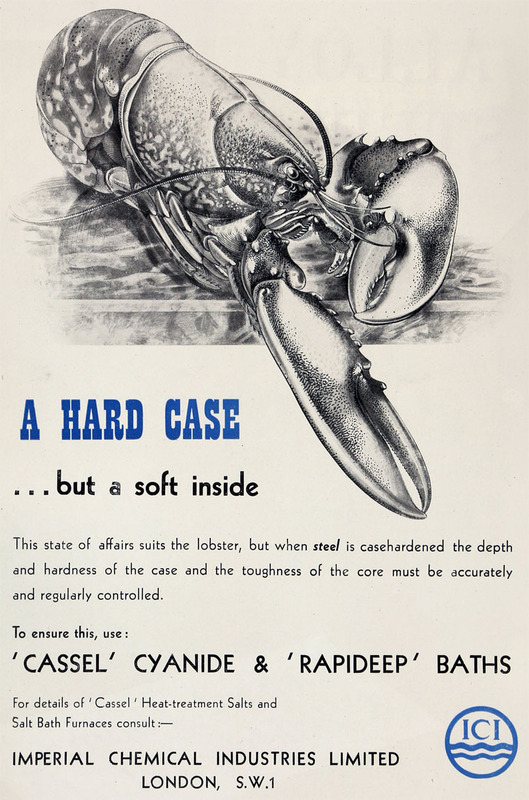 For a short period during the 1950s, ICI marketed a colour film for use by professional photographers. At this time ICI took some preliminary steps towards entering the amateur photography market. 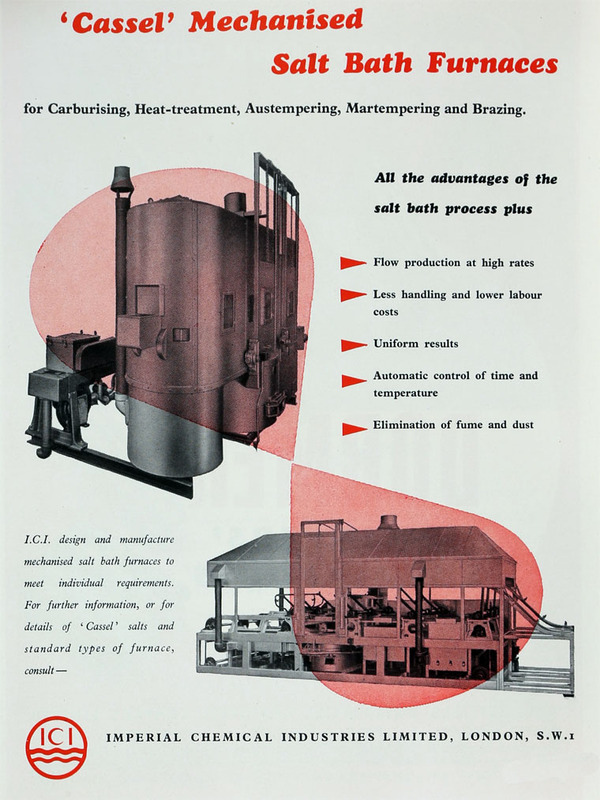 1957 Because of success in pharmaceuticals, ICI formed ICI Pharmaceuticals. 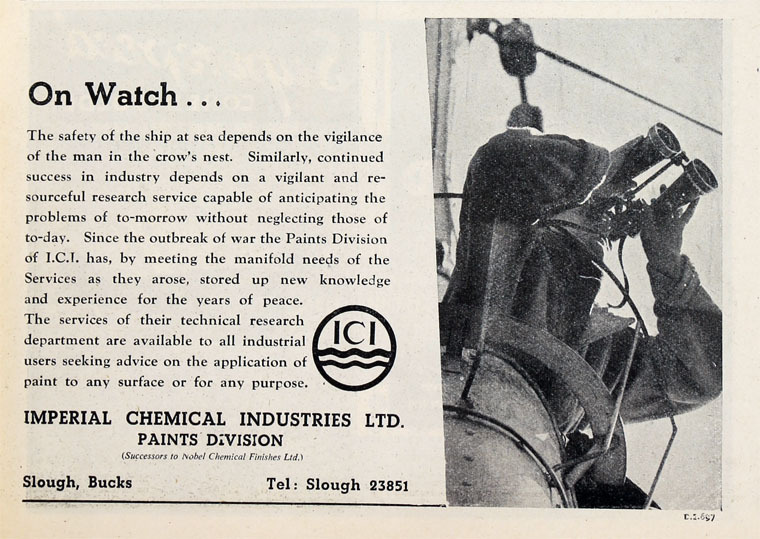 1958 ICI acquired 32 percent of Ilford's shares and an agreement was concluded which gave Ilford access to ICI's colour film research and provided for further research on colour photographic products and processes to be undertaken by ICI on behalf of Ilford. 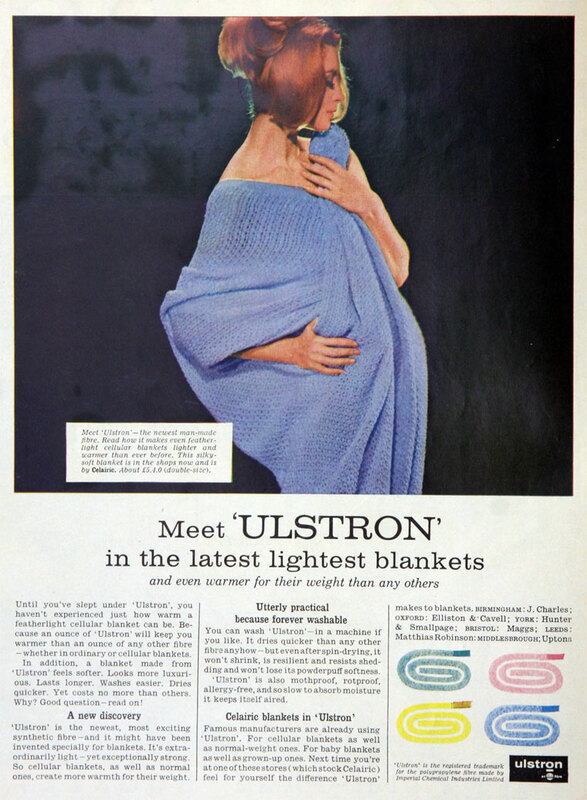 1962 ICI and Courtaulds both had major interests connected with textiles and considered various mergers and take-overs. 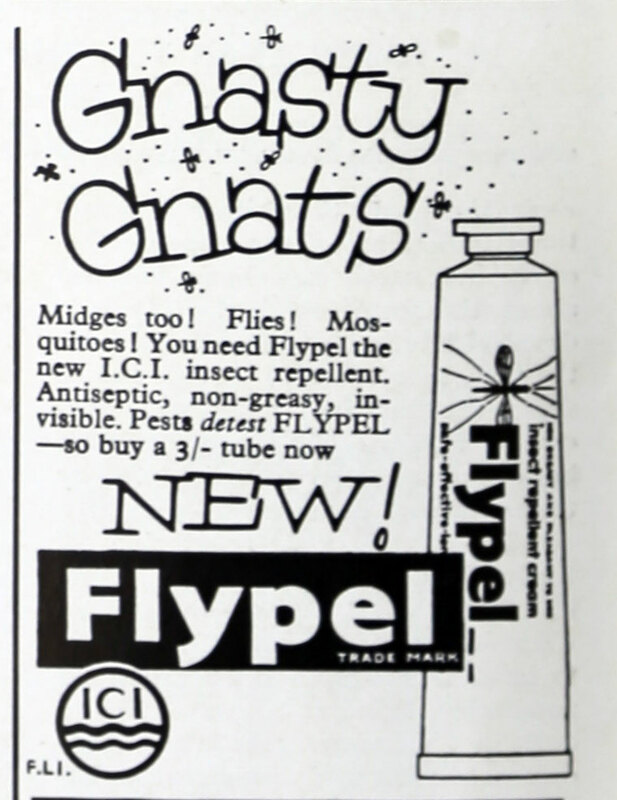 In 1964 the companies broke apart; ICI acquired British Nylon Spinners and Courtaulds carried on with another nylon range. 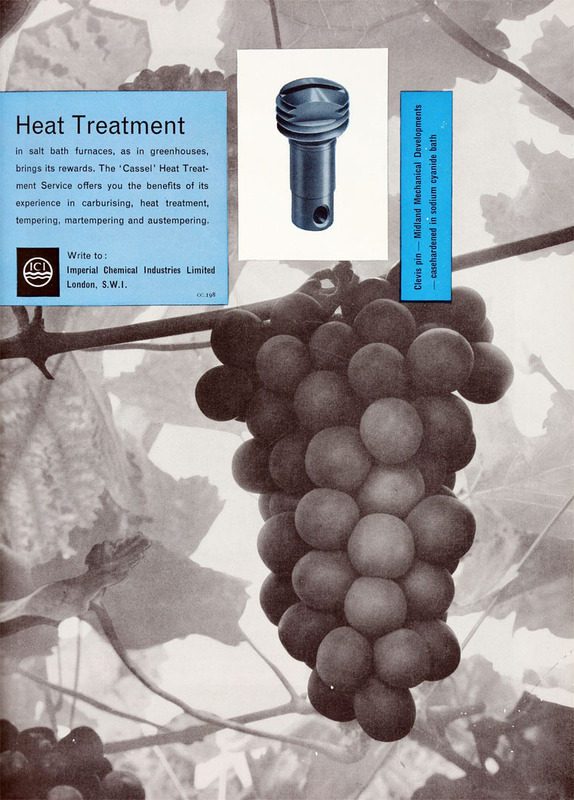 1965 ICI began building major new plant, including an ethylene cracker in Britain, fibre spinning operations in Germany, and a huge PVC plant at Bayonne, New Jersey, USA. This permitted ICI to produce chemicals at a more competitive price. 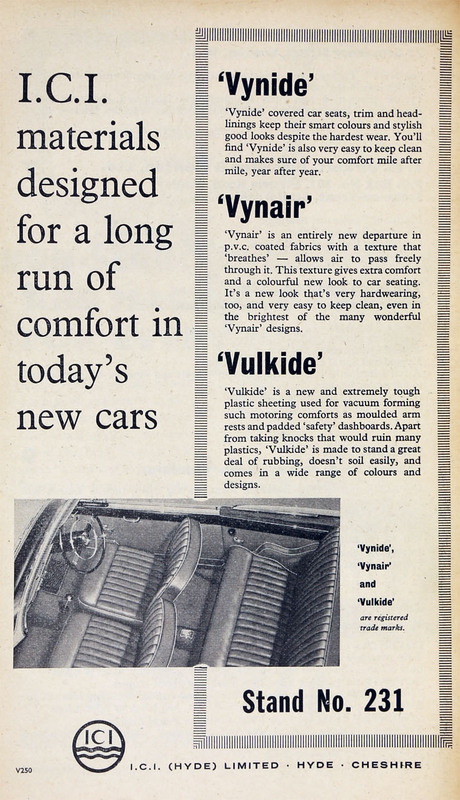 1970 ICI acquired Viyella and later in the year Carrington and Dewhurst, forming Carrington Viyella of which ICI owned 64 percent. From 1971 to 1988 ICI operated a small General Atomics TRIGA Mark I nuclear reactor at its Billingham site. 1974 Mr. Frank Whiteley, operations director of ICI Agricultural Division, was seconded to the company's head office as technical adviser to the main board. His duties included the responsibilities of engineering adviser and head of engineering services, which he took over from Dr. K. A. G. Miller. By 1975 ICI controlled over half of the British market in ammonium nitrate fertilizer. 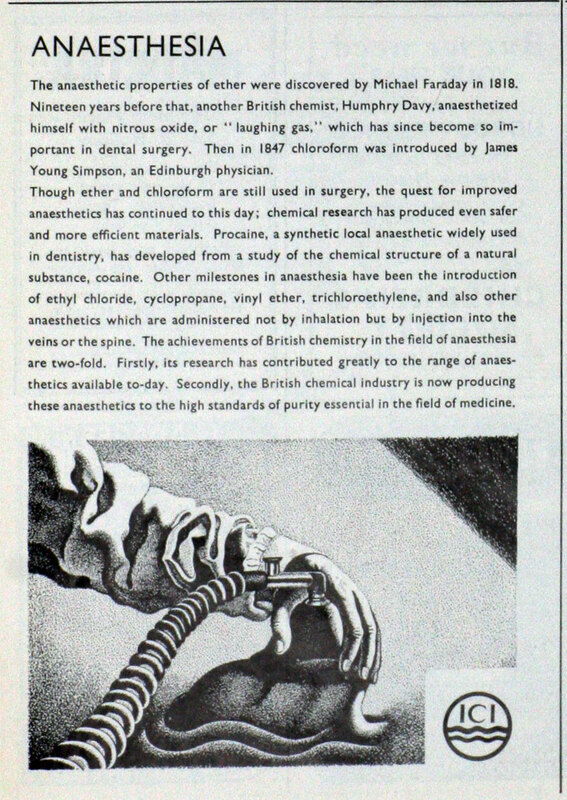 1982 Strategic shift to higher margin products such as drugs and specialty chemicals, reducing importance of polyethylene. Profits doubled in 1983. 1986 Major acquisitions, especially in North America, including purchase of Beatrice Chemicals and of Glidden Paint. 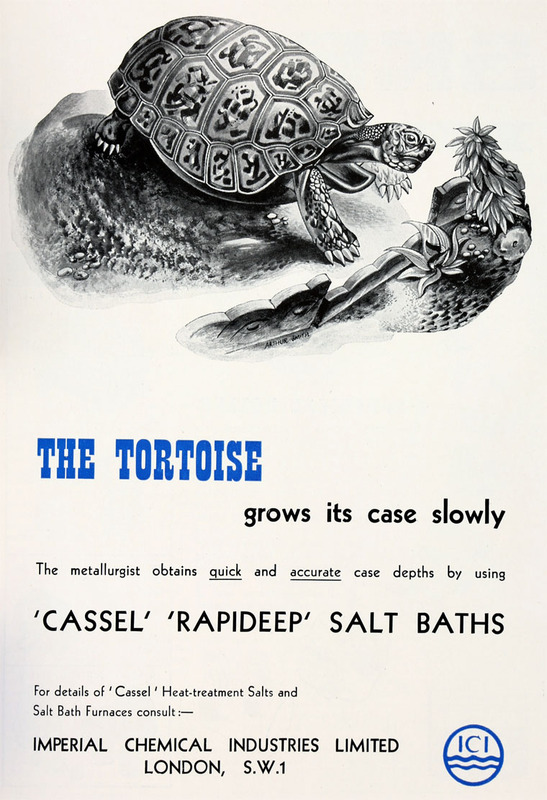 1993 The company decided to demerge its chemical business from the pharmaceutical bioscience divisions. Pharmaceuticals, agrochemicals, specialities, seeds and biological products were placed into a new and independent company called Zeneca Group. 1990s The company moved away from bulk and industrial chemicals towards speciality chemicals in the hope of making its income less dependent on the business cycle, earning higher profit margins, and developing businesses with long term growth potential. However its financial performance in the 21st century was erratic. 1997 ICI sold its Australian subsidiary, ICI Australia, and the following year the former subsidiary changed its name to Orica. 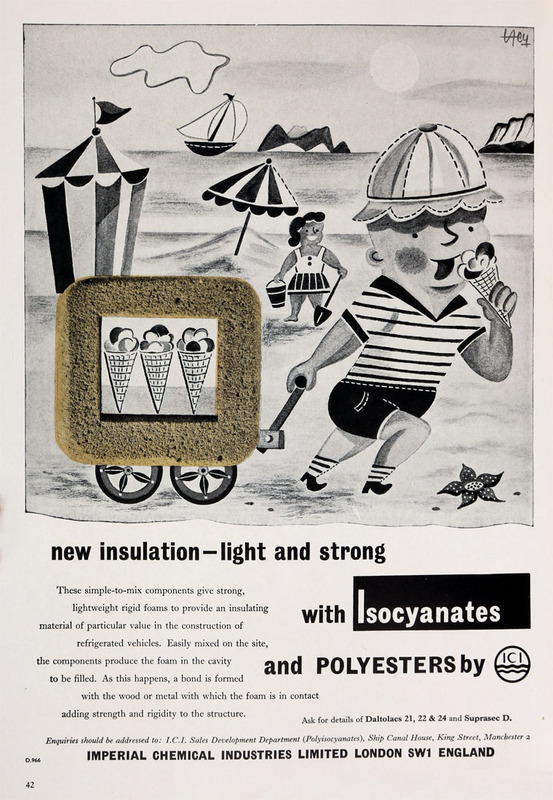 Between 1997 and 2001, ICI sold the polyester businesses mainly to du Pont, acrylics to Ineos, and other product lines and holdings to PPG and Hunstman. It also acquired catalyst science company Systenix. 1999 Zeneca merged with Astra AB to form AstraZeneca, one of the largest pharmaceutical companies in the world. 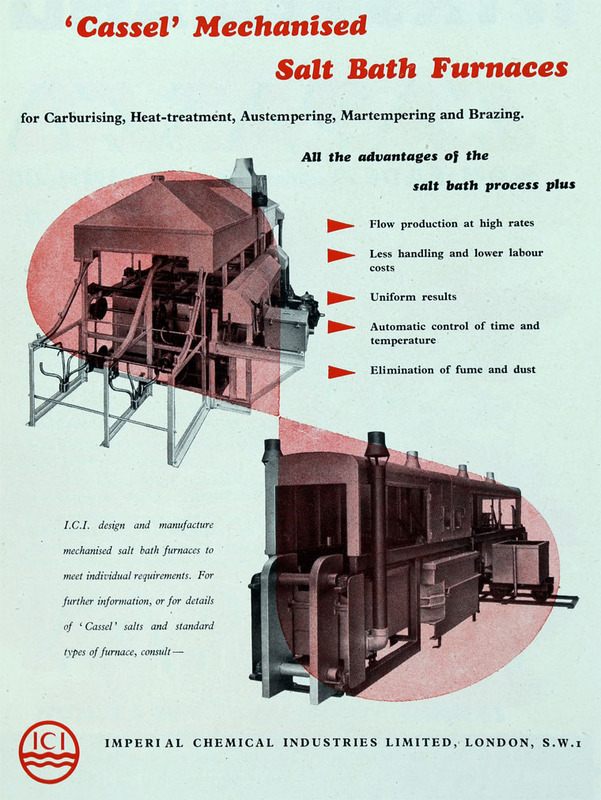 1926 United Alkali Co had been one of the largest chemical companies at the time of its formation in 1890 but its members used the Leblanc process for soda manufacture which was inferior to the Solvay process used by Brunner, Mond and Co, another key member of the new combine, ICI. 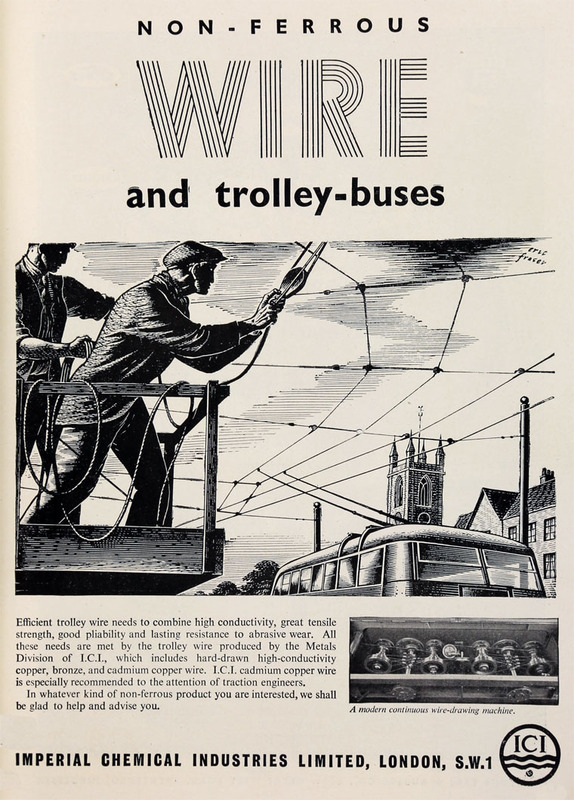 1937 Alkali Division took the lead on development of electrical and other uses of polyethylene. 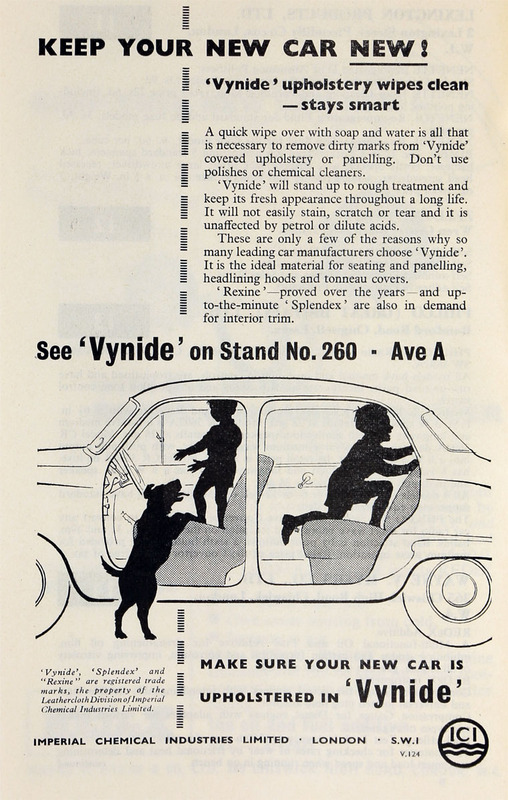 1929 Developed phthalocyanine as a dye. 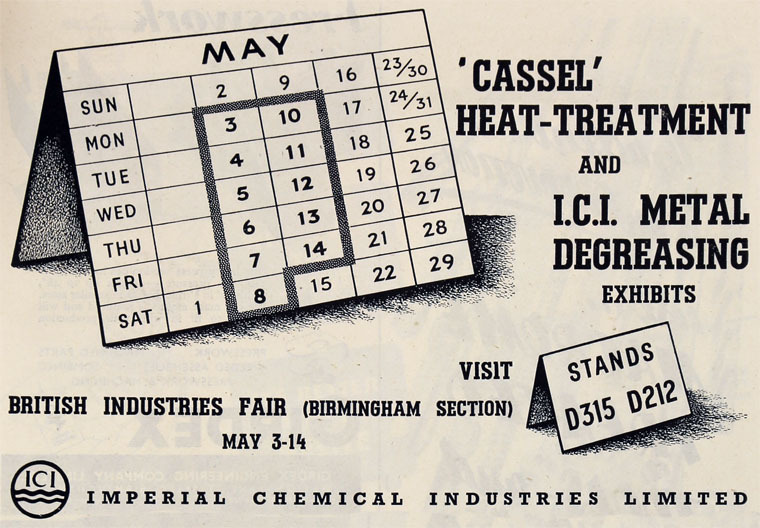 1926 Merger of Nobel Industries with three other companies to form Imperial Chemical Industries; Nobel Industries continued as the ICI Nobel division of the company. 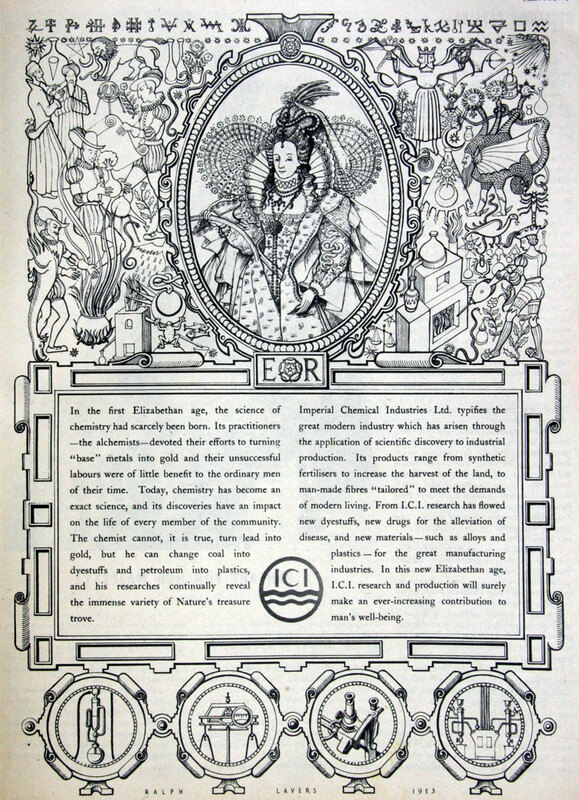 1932 Formation of ICI (Explosives) Ltd which included 11 companies already controlled by ICI including Nobel Explosives, Curtis's and Harvey, Bickford, Smith and Co, W. H. Wakefield and Co, Alexander Walker and Co, Sedgwick Gunpowder Co, Liverpool Magazines Co, British Westfalite, R. and T. Jack and Co, Patent Electric Shot Firing Co, Roburite and Ammonal, Lancashire Explosives Co.
ICI Ardeer was commonly known locally as the 'factory'. At the time the company generally provided higher quality employment regarding terms and conditions and pension rights than other local firms. 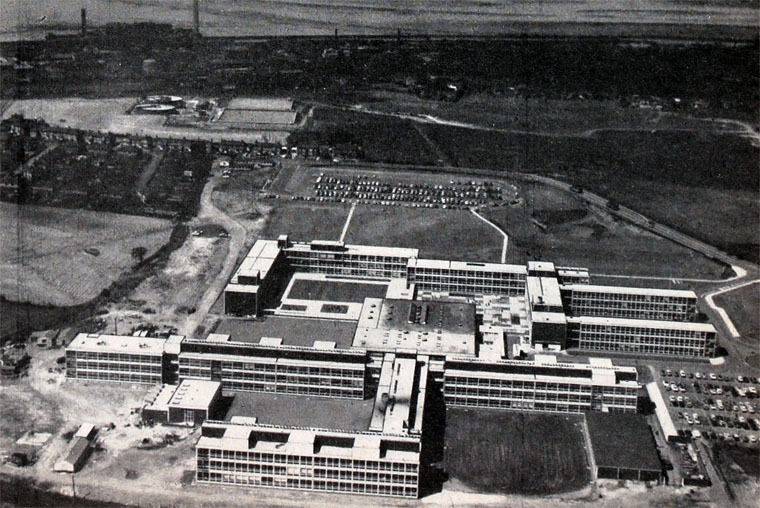 The Ardeer site was almost like a community; so many people were employed there that a bank, travel agent and dentist were at one time based on the site. 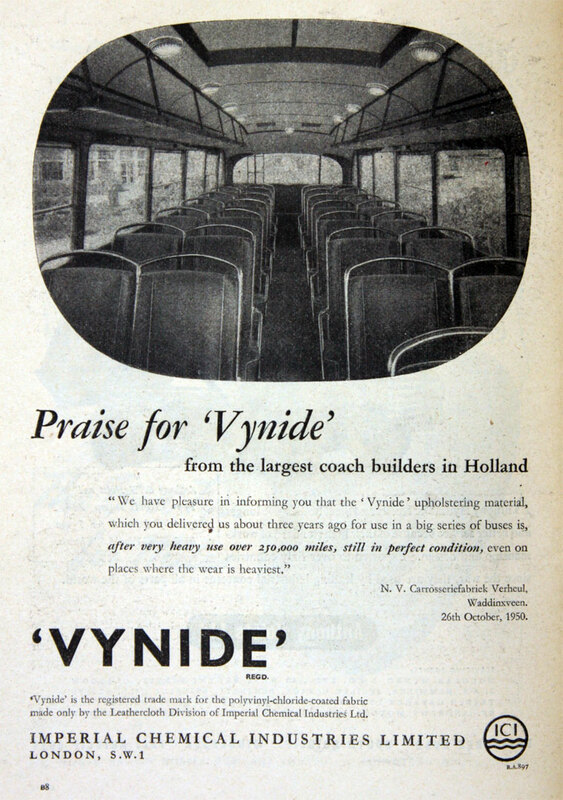 The former Western Scottish Bus Company provided tens of buses per day to transport the workers to and from the site, and until the mid 1960s there was even two trains per day to transport workers to a station within the factory. In the late 1960s construction began on a nylon and nitric acid plant but this had a short life, closing down just 12 years later. 2002 The division, now named Nobel Enterprises, was sold to Inabata. 1920 Brunner Mond, by arrangement with the Government, had formed Synthetic Ammonia and Nitrates Ltd. to build and operate a factory to extract nitrogen from the air to make ammonia, principally to provide a key feedstock for explosives but also to make ammonium sulphate fertiliser; the plant was at Billingham, Stockton-on-Tees, Durham which was acquired from the Ministry of Munitions. This became the Billingham Division of ICI. 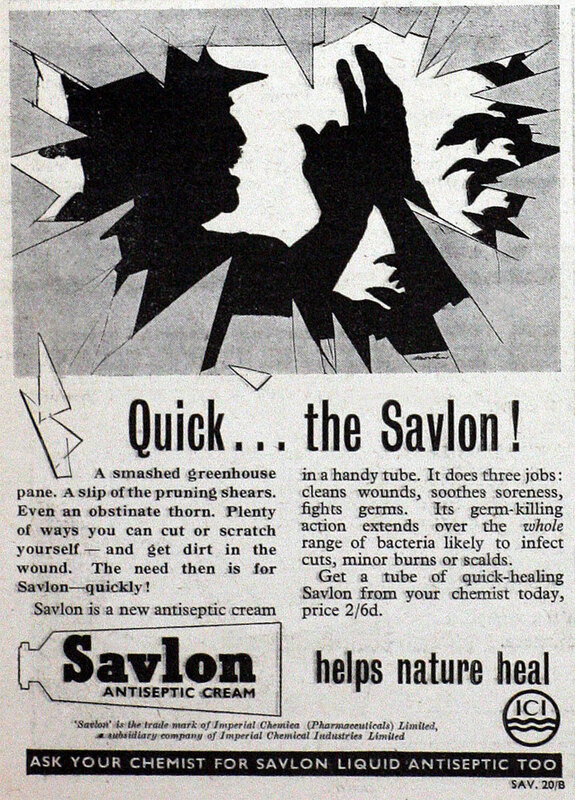 1920s Fertilizers were manufactured at Billingham (and later at Wilton). Fertilizers were expected to be the main growth area for the new company so much of its capital expenditure was focused on the fertilizer plant at Billingham. 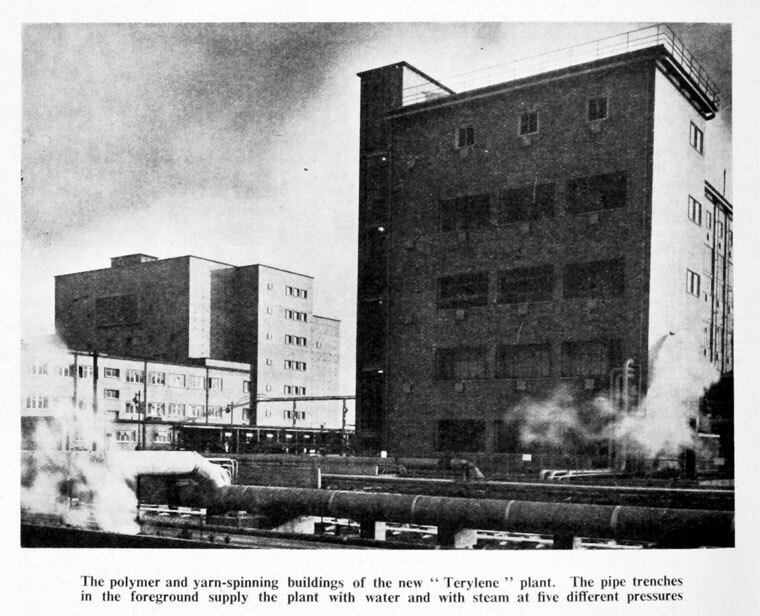 By 1929, the onset of the Depression reduced demand for fertilizer and home demand was not enough to support the huge plant. 1928 Work began at the Agricultural Research Station at Jealotts Hill near Bracknell. 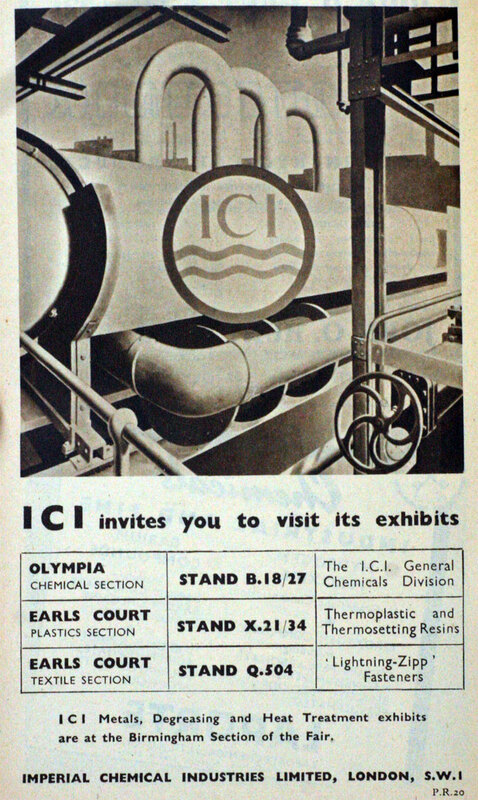 The ICI Billingham Division was split into the ICI Heavy Organic Chemicals Division and ICI Agricultural Division in the 1960s. 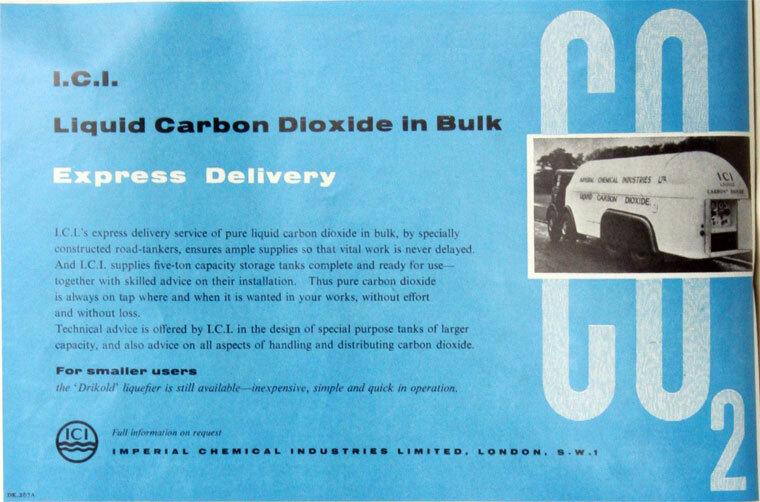 By 1975, with the availability of North Sea Gas at low cost on long-term contract, the fertilizer division enabled ICI to produce ammonium nitrate at well below market price. 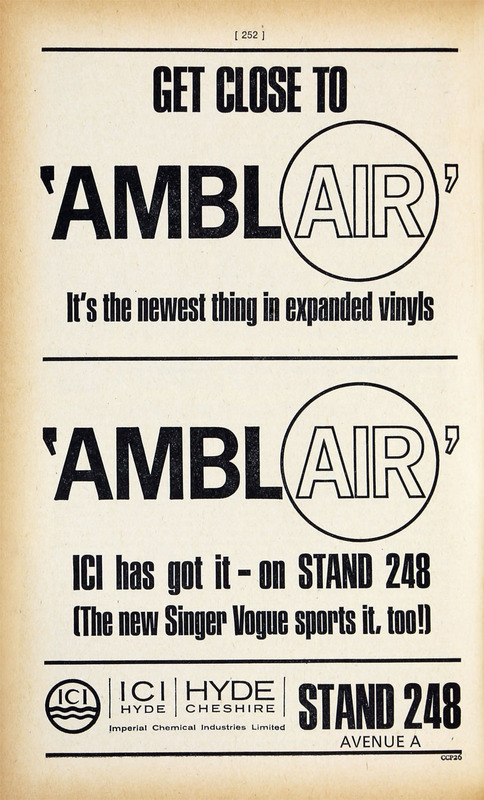 By 1975, ICI controlled over half of the British market. 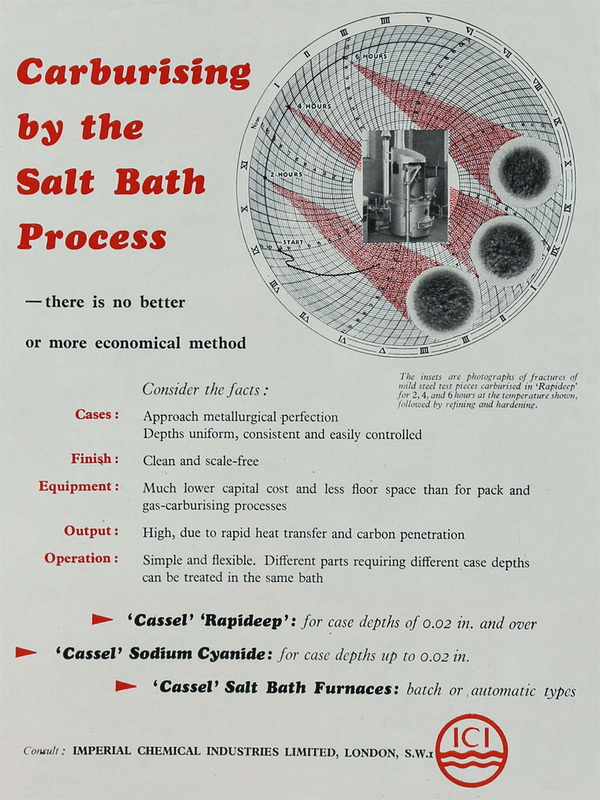 1974 Opened a plant to increase production of Saffil high performance inorganic fibre 'to tonnage scale, as it had only been produced in small sample quantities. The fibres will be used in the form of staple fibre, blanket, boards, moulded shapes and papers. 1926 Chance and Hunt's Oldbury Works and Wednesbury Works became part of the General Chemicals Group. 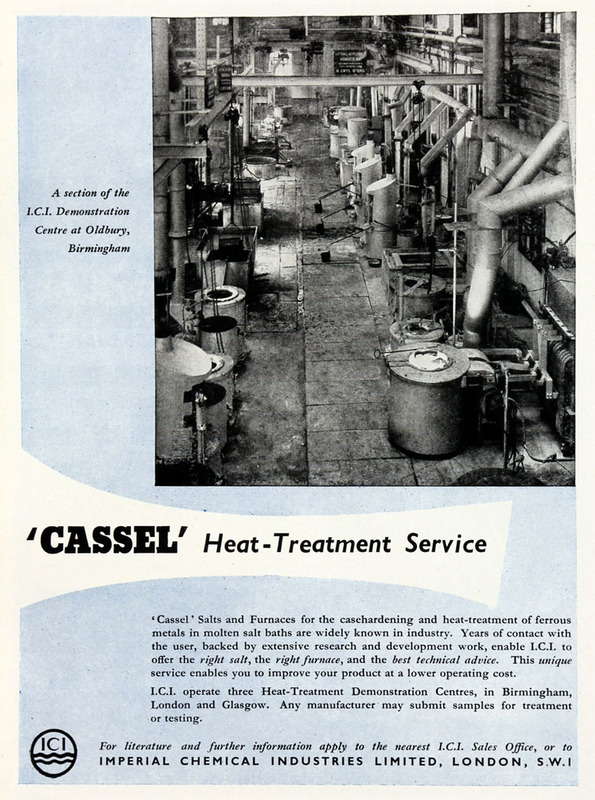 1929 ICI decided to close the Wallsend works (ex-Castner Kellner Co) and amalgamate it with the United Alkali Co's Allhusen Works at Gateshead and the Cassel Cyanide Co of Glasgow; the 3 works were concentrated at Billingham South, called Cassel Works which became one of the principal factories of ICI's General Chemicals Division. 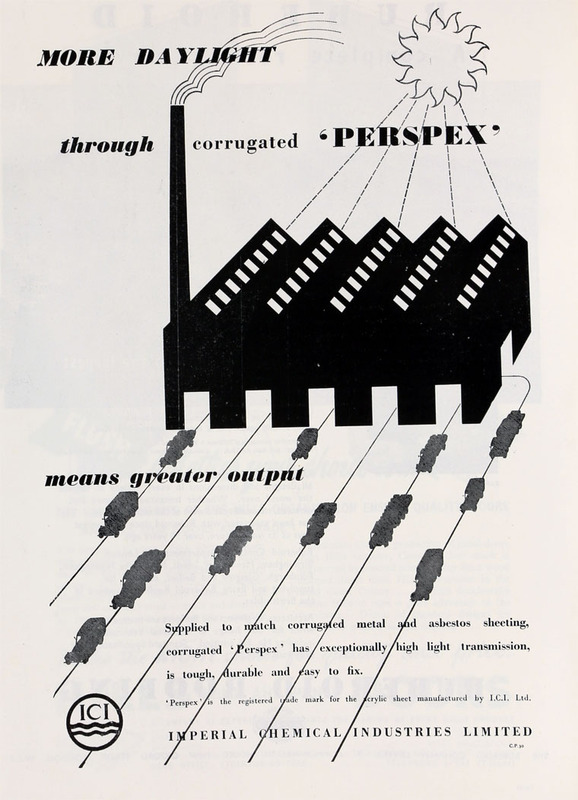 1934 The General Chemicals Division at Billingham was assigned the development and production of the new product called Perspex. 1974 Always innovative, ICI Mond division created its Works Record System, a robust general-purpose tool implemented under CICS. It successfully monitored the numerous chemical production plants within the scope of the company. 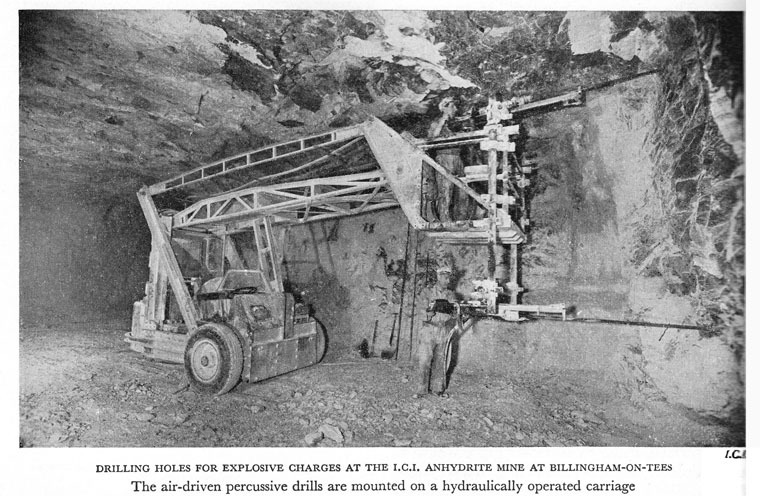 The system was highly successful and remained operational for 27 years without a change to the underlying software, which was intentionally designed to allow the plant operators to make updates and create new applications with no knowledge of computer programming. 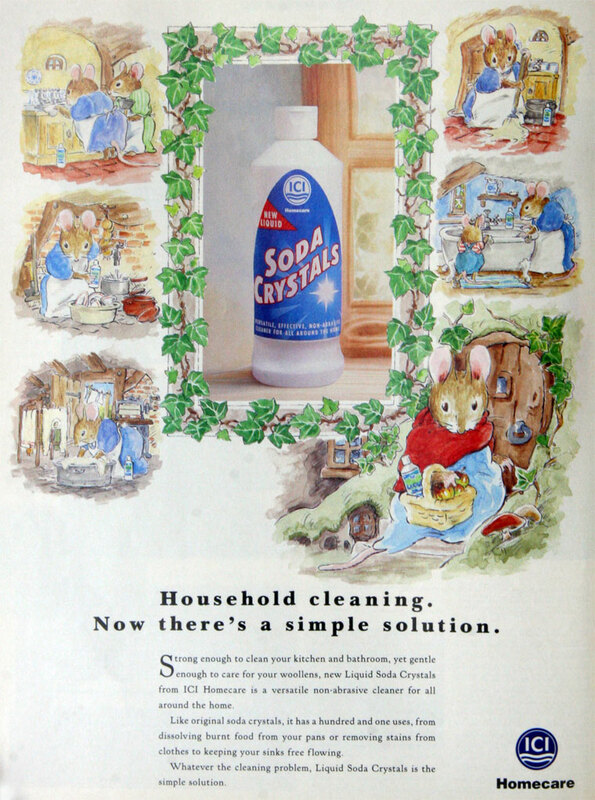 1982 ICI Mond Division closed nearly half the soda ash capacity at the Wallerscote works in Cheshire resulting in the loss of approximately 150 jobs. 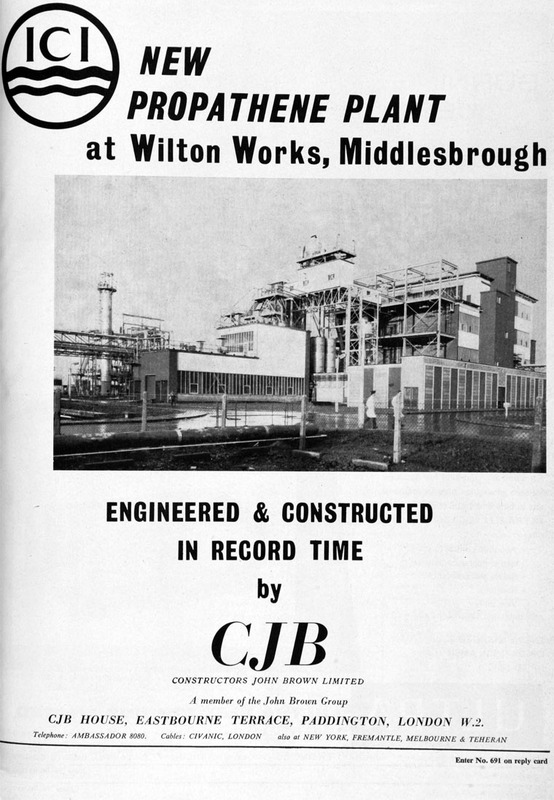 1927 Nobel Industries' Witton site became the head office and principal manufacturing base of the Metals Group. 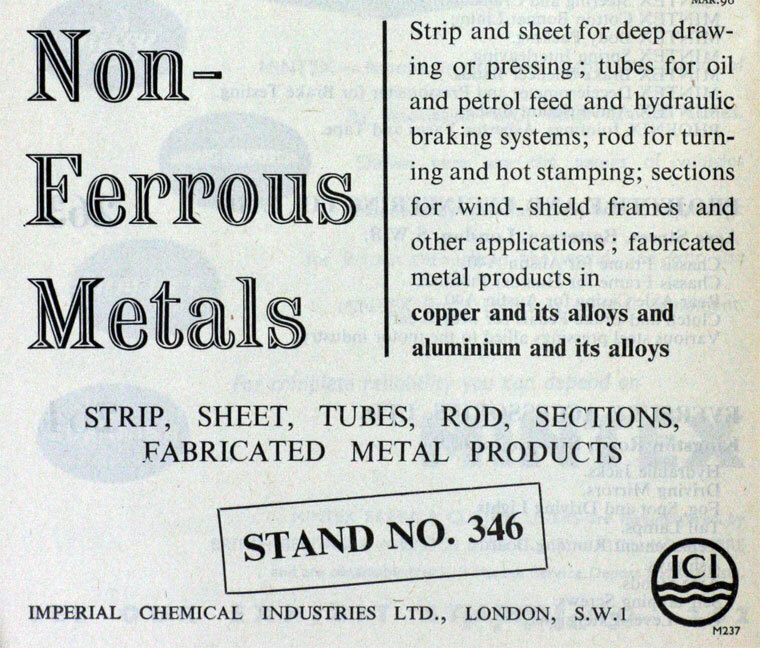 1926/7 Allen Everitt and Sons became part of the Metals Group. 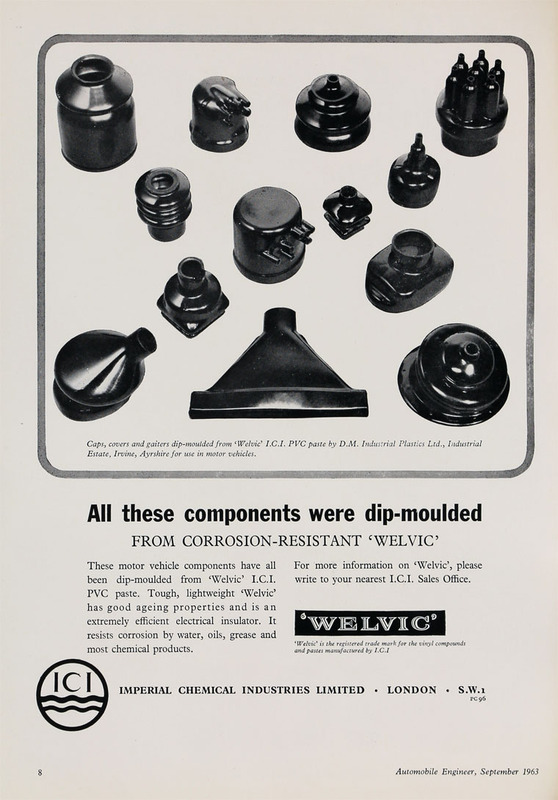 1932 Advertisement: incorporating Allen Everitt and Sons, Muntz's Metal Co, Elliott's Metal Co, Grice, Grice and Son and British Copper Manufacturers. 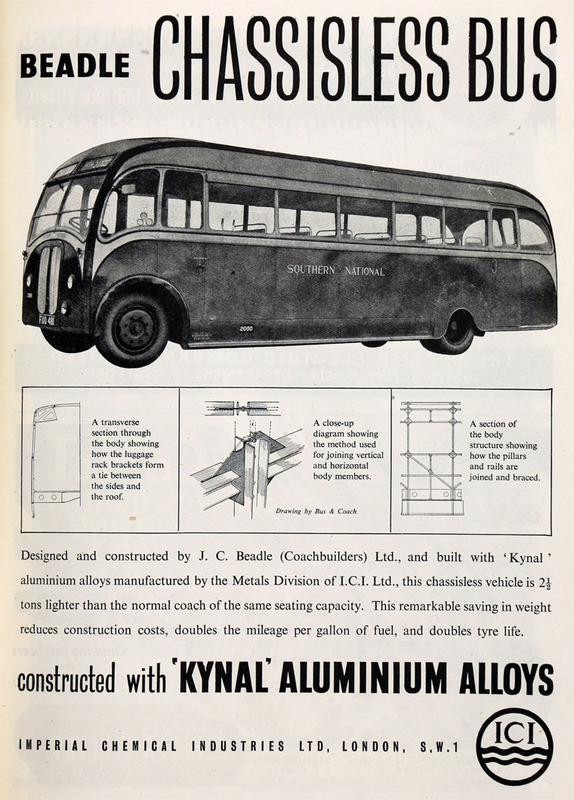 1962 The one hundredth anniversary of the opening of George Kynoch's percussion cap factory; the Metals Division was renamed Imperial Metal Industries Ltd (IMI). 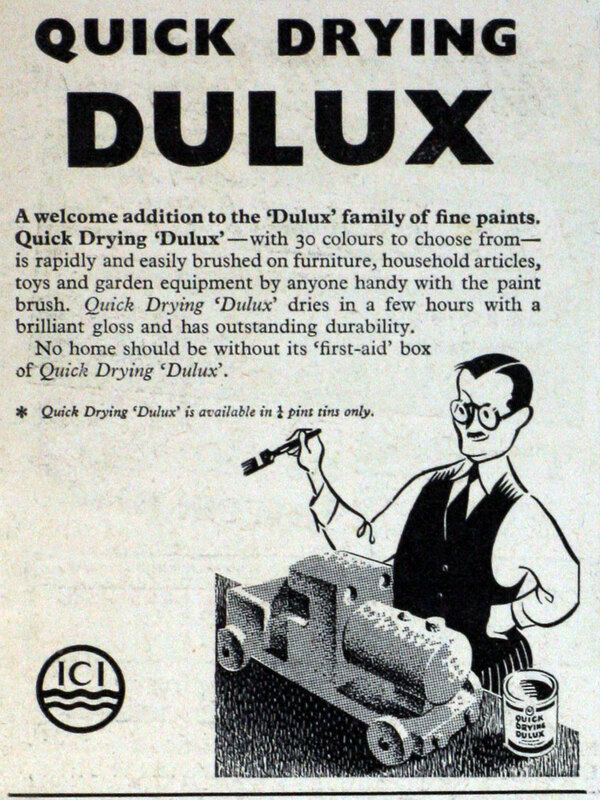 1932 Introduction of Dulux paints (co-developed with Du Pont). 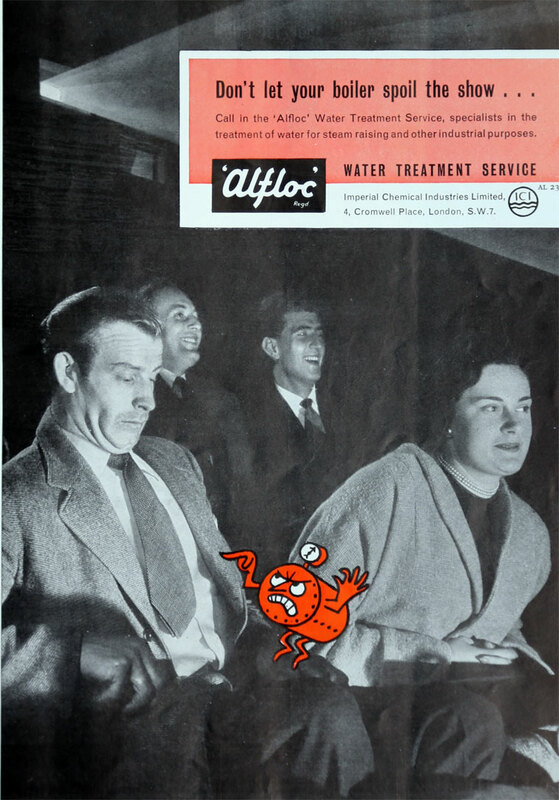 1944 Imperial Chemical (Pharmaceuticals) Ltd, together with the Therapeutic Research Corporation of Great Britain and Kemball, Bishop and Co were working on the development and production of penicillin. 1957 Formation of ICI Pharmaceuticals. 1993 Separation of the pharmaceutical bioscience divisions. Pharmaceuticals, agrochemicals, specialities, seeds and biological products were grouped in a new company called Zeneca. 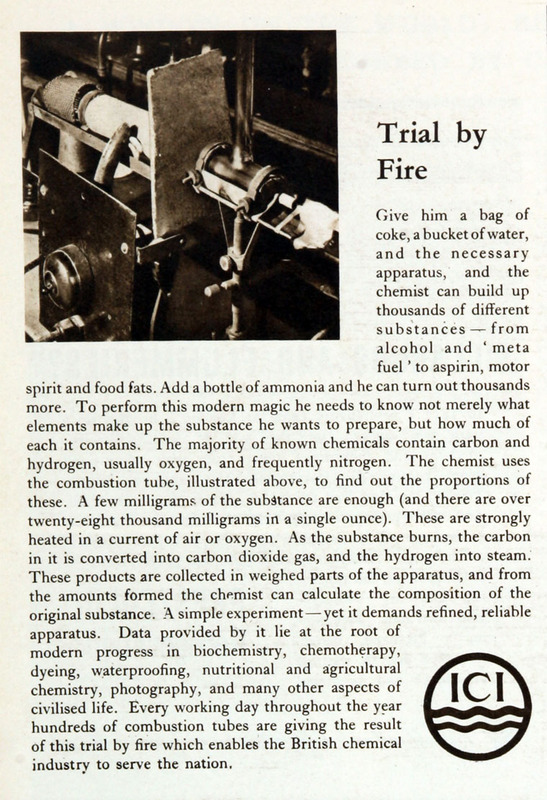 1932/3 John Crawford of the Explosives Division, developed the first commercial synthesis of poly-methyl methacrylate, Perspex, building on work that he and Rowland Hill of Dyestuffs had done. 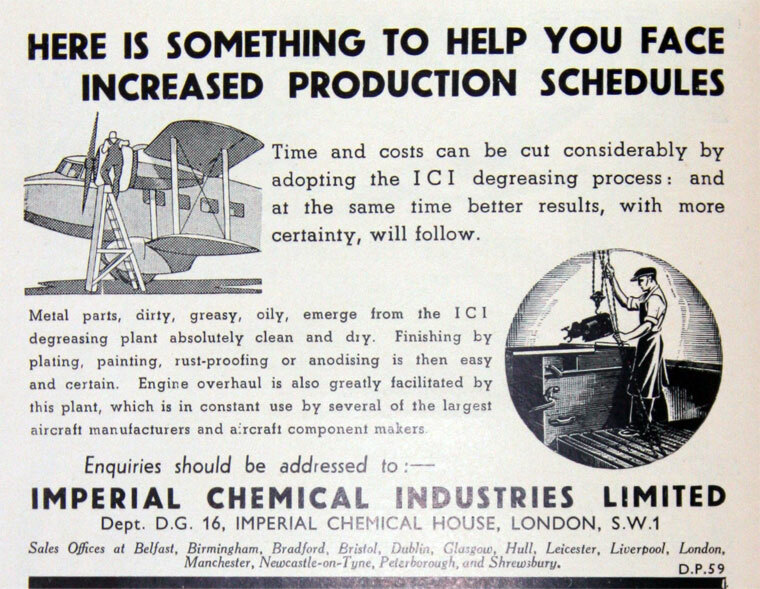 1934 ICI's General Chemicals Division at Billingham was assigned the development and production of the new product. 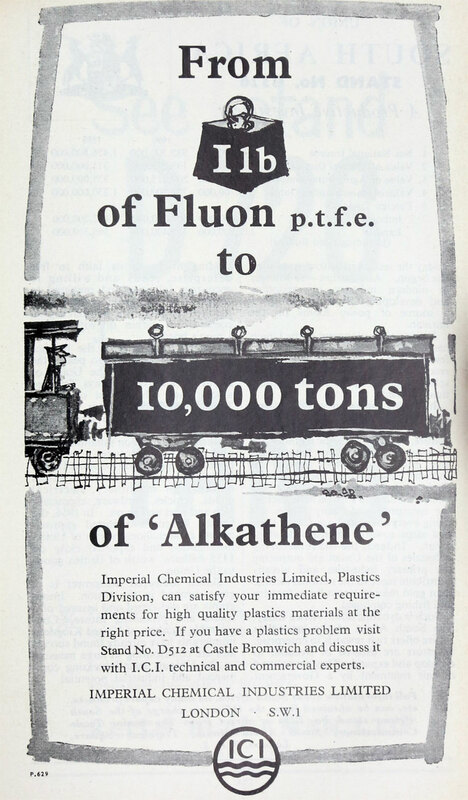 1937 Formation of Plastics Division which took over development of polyethylene as a moulding compound. 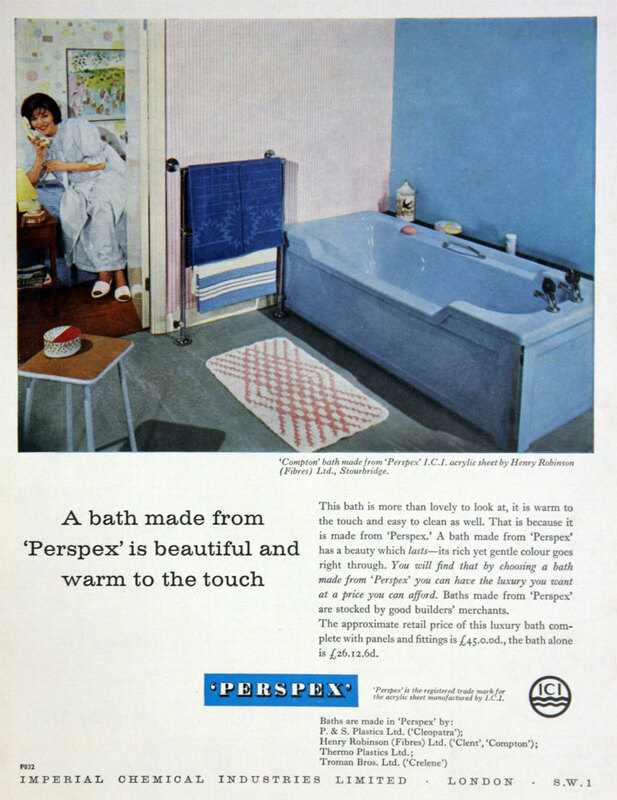 1979 Introduced PEEK, a high performance thermoplastic. 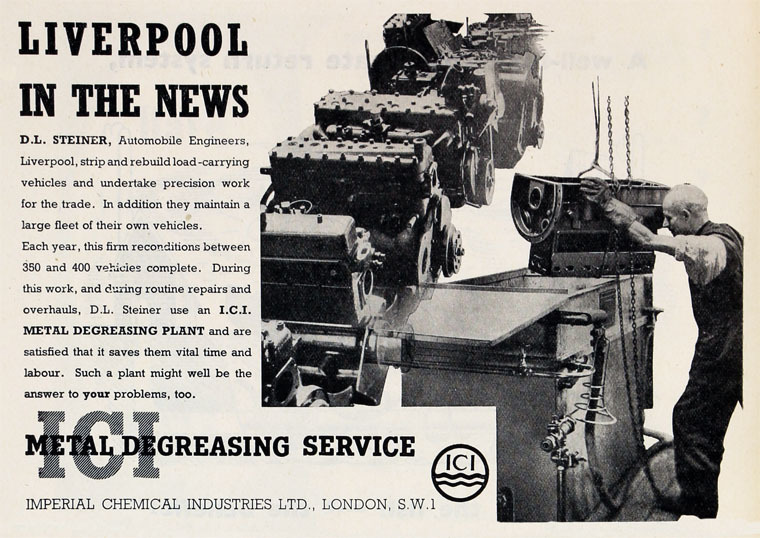 1981 ICI was restructuring its heavy chemicals operations and decided to merge Mond Division plant at Bain Works, Teeside, into its Petrochemical and Plastics Division activities.